1. Print out the pdf. Cut along the solid lines. Leave the lenses attached. You’re going to fold them over in a minute. 2. Cut out two circles out of colored plastic large enough for lenses. Glue them in place. Now run a dab of glue over the rest of the paper and fold it closed. 3. Bend the tabs on the side of the lenses 90 degrees. Attach the arms to the tabs with glue. Now the kids can see the world like they’ve never seen it before. La vie en Rainbow! 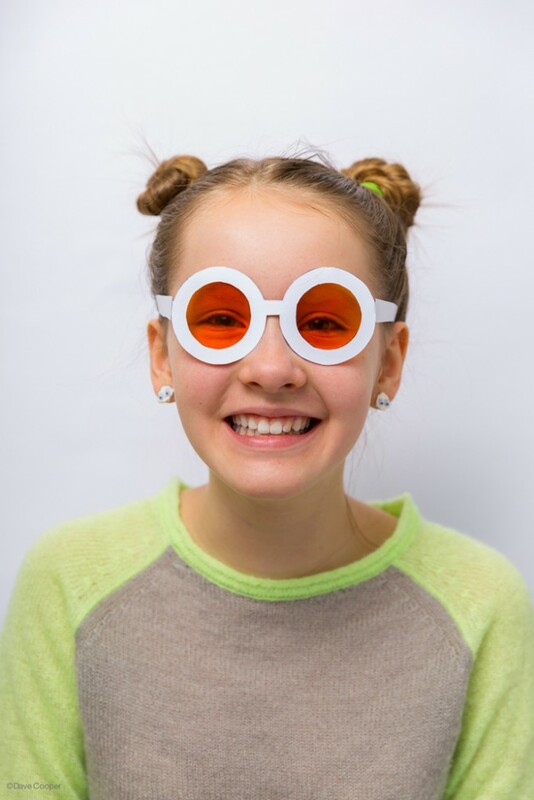 -Create three sets of glasses with primary colored lenses (red, blue and yellow) and see what happens when you wear more than one pair at a time. 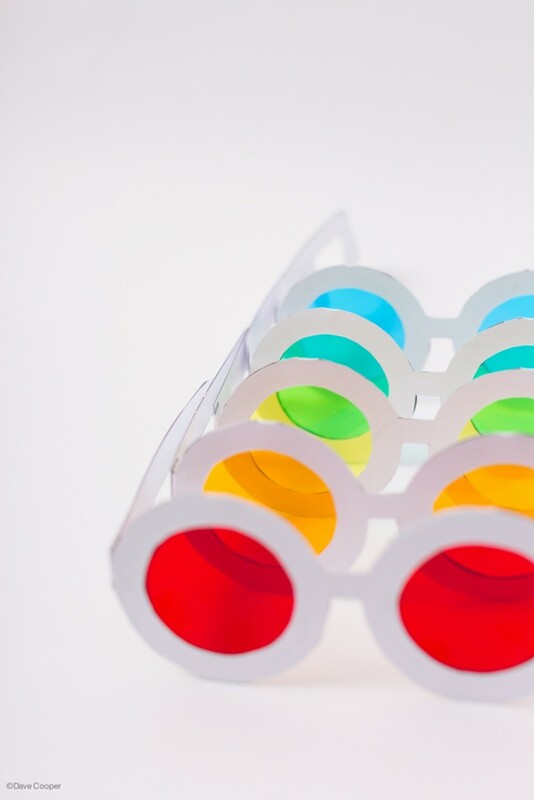 -Make 3D glasses. Place a blue lens on the left and red one on the right. Have a parent help you search for “3D glasses images” online to test out your new glasses. -Draw three circles on a white sheet of paper. Color them in red, blue and yellow. Put on a set of blue glasses. What happens to the red and yellow circles? Now put on the red set of glasses. Did the blue and yellow circles change color? 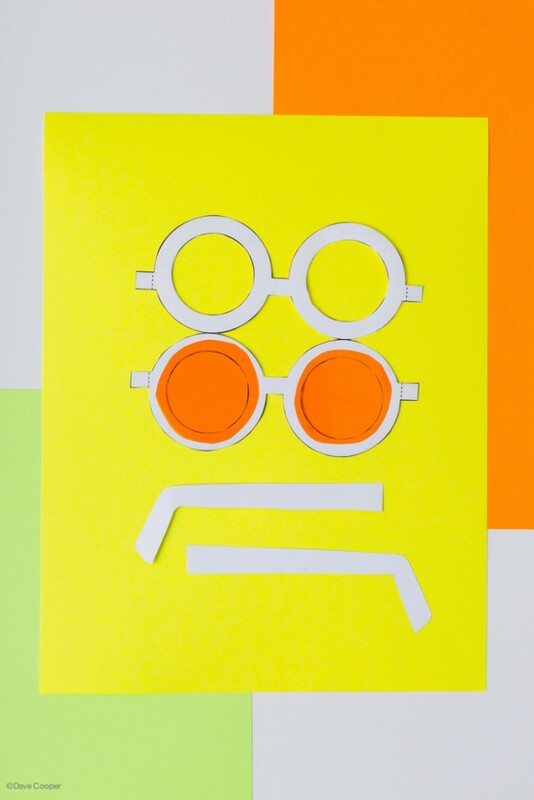 -Throw a color party and tuck glasses into the goody bags for guests to take home. 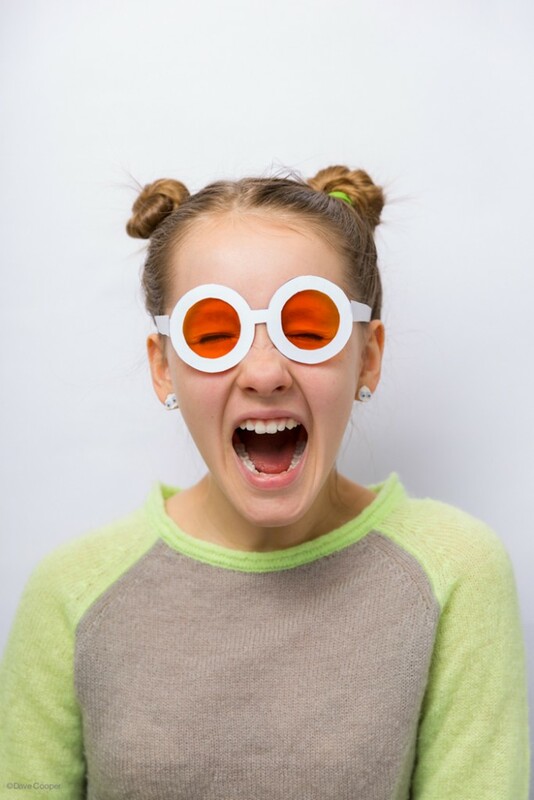 -Swap your parents’ or siblings’ glasses for a pair of colored ones as a prank. -Wear them while you take a bubble bath! -For dessert, hand out different colored glasses to your guests. Make vanilla sundaes with whipped cream. Vanilla sundaes become rainbow sundaes. ps. Do you know ROY G BIV? Sure you do! 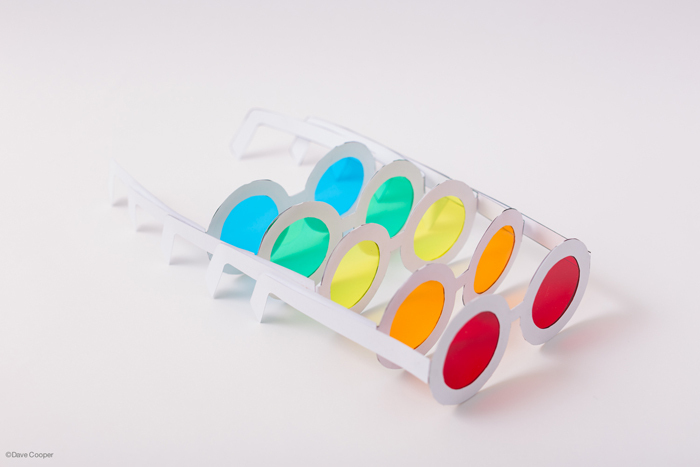 Imagine pairing these fun glasses with this cool ROY G BIV tee, these would be fun party activities too! – and leaf stick puppets! You don’t want to miss her Adventures in Learning series in partnership with PBS. Seriously cool stuff happening here. Jen Cooper is the talented author/illustrator behind Classic Play, a place where having kids is cool. There you’ll find lots of advice on parenting, travel ideas, art projects, thoughts on being creative and so much more. You’ll also find a collection of clever kids’ crafts, fun recipes and other families like you who are encouraging the next generation to grow up curious, creative and connected. A colorful way to display all those LEGO minifigures!